Kohler is one of the top three companies for plumbing fixtures in the industry. Back in the day when these companies first started there were only one style of toilets. Today there is one piece, two-piece, round seats or elongated seats. Kohler has a diverse inventory of products and they offer great designs as well as the most current technology available. 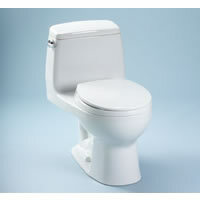 The Kohler Devonshire Elongated Toilet Bowl Series is one of the best in the Kohler Toilet inventory. The Devonshire Elongated Toilet Bowl has an Ingenium Flushing System that can bring 3.5-gallon performance in a compact 1.6 gallon toilet bowl. How much more efficient can you get? The Devonshire Series is considered to be one of the most beautiful in the way of function and style. This style has some very nice details design lines giving the toilet bowl some creativity. The best part about this toilet is that is has a high performance and it looks great too. 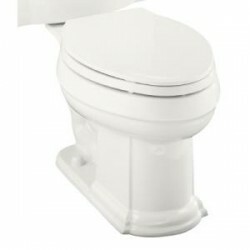 The specifications of the Devonshire Elongated Toilet Bowl is that it has a 1.6 gallons per flush and it comes in a nice Wild Rose and White Color. But the famous Energy Star Compliant System or the ADA does not rate this toilet bowl. When the toilet bowl is assembled it measured in 30.875 inches in depth X 15 inches in height with a 45.5 inches in width. The toilet weighs about 52 pounds. 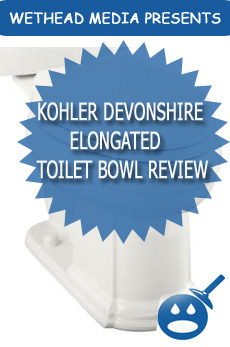 The Kohler Devonshire Elongated Toilet Bowl has been met with great customer reviews. Some customers who have purchased their toilets at the Home Depot have said that the toilet has a great design that is easily matched with other bathroom styles. The say these toilets helped them save a bit of money too. They are easy to install and they have a great warranty. Kohler offers a one year warranty on all toilet bowls from the date they were installed it is important to read your entire warranty information. 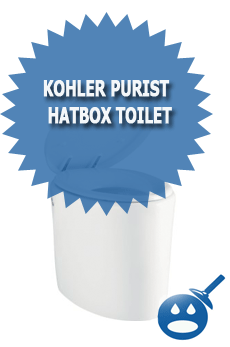 Only Kohler offers the one of a kind Ingenium Flushing System. These toilet bowl series are designed to match any bathroom decor as well as conserve water and save you money. If you are looking for a new toilet system, the Devonshire Elongated Toilet Bowl is a great choice. It comes complete with everything except the seat. But Kohler also offers some great accessories that will match your Devonshire perfectly. Check out the nearest location to you on the Kohler website or you can find it in your local Home Depot store. Kohler is one of the best in the industry and for a good reason. They have some great designs and they use updated technology. Consider the Devonshire Elongated Toilet Bowl, you will love the way it looks in your bathroom. The price is a very affordable $110.00, if you shop around you may be a bit better price.